SEA-90 the most complete mineral and trace element product ever offered for agriculture! SEA-90 sea mineral solids are 100% natural, water soluble, mined minerals listed by the USDA National Organic Program and Organic Materials Review Institute (OMRI) for use in the production of organic food, fiber and livestock. SEA-90 sea mineral solids are natural crystals produced by solar dehydration of H2O from sea water trapped in retention ponds located in a very arid pristine coastal area with no industry or agriculture. This particular sea is considered to be one of the most mineral-rich on earth. The full spectrum of minerals and trace elements in SEA-90 are perfectly proportioned and balanced to sustain optimum biological life. Consider that the elements in sea water are at essentially the same ratios as human blood, and that sea life living in pure and balanced ocean water seems to be immune to cancer and other degenerative diseases. SEA-90 is the product of 30 years of research by Dr. Maynard Murray that proved soils enhanced or remineralized with sea minerals grow crops superior to that grown solely with conventional fertilizers. Dr. Murray shared his knowledge and research with Robert Cain who is the founder of SeaAgri, inc. SEA-90 is provided exclusively by SeaAgri, inc. and its authorized distributors. Need more information on SEA 90? 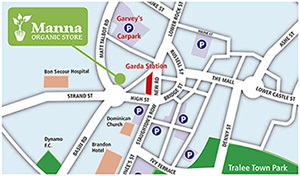 Thomas of Manna Organic Farm and Store can answer all your queries about this amazing product. SEA-90 sea mineral solids are 100% natural, water soluble, minerals for use in the production of organic food, fiber and livestock. SEA-90 sea mineral solids are natural crystals produced by solar dehydration of H2O from sea water trapped in retention ponds located in a very arid pristine coastal area with no industry or agriculture. This particular sea is considered to be one of the most mineral-rich on earth. The full spectrum of minerals and trace elements in SEA-90 are perfectly proportioned and balanced to sustain optimum biological life. Consider that the elements in sea water are at essentially the same ratios as human blood, and that sea life living in pure and balanced ocean water seems to be immune to cancer and other degenerative diseases. SEA-90 is the product of 30 years of research by Dr. Maynard Murray that proved soils enhanced or remineralized with sea minerals grow crops superior to that grown solely with conventional fertilizers. Dr. Murray shared his knowledge and research with Robert Cain who is the founder of SeaAgri, inc.
SEA-90 is provided exclusively by SeaAgri, inc. and its authorized distributors. SeaAgri, inc., a “green company”, began operations in January 2004.Robert Cain, a lifelong advocate of sea mineral solids, organic gardening and farming, decided to investigate current agricultural practices to determine if the time was right to resurrect the technology of Sea Energy Agriculture 30 years after Dr. Maynard Murray’s death. Murray’s research and discoveries literally died with him in 1982. Robert began his research via internet for relevant or current information about Dr. Murray and sea mineral solids. He discovered one article written by David Yarrow (PDF) that was published in the November 2001 issue of ACRES USA. Robert contacted David to discuss this article and current agricultural philosophies. David informed Robert that his article produced more calls, letters and emails than anything he had ever published. They agreed that contemporary farmers and ranchers are genuinely concerned about minerals and trace elements in their soil, the nutritional quality of foods and feeds they grow, and would appreciate the holistic elegance of Murray’s methods. They concluded that the entire agriculture industry, including organic, sustainable and conventional, would accept Dr. Murray’s technology. Unfortunately, Dr. Murray’s sea mineral solids were not available for purchase anywhere! Consequently, the seeds of SeaAgri, inc. were sown when Robert and David finally met in Atlanta to discuss the feasibility of a business to promote the lost legacy of Dr. Murray’s profound research, and ultimately distribute Murray’s sea minerals to agricultural communities. Along with Robert’s wife, Carmen Hagen, they began to develop ideas for a business name, trademark, product name, packaging, labels, marketing, and applications. During the summer of 2004, Robert visited the source of Murray’s sea solids and made arrangements to produce and ship these amazing minerals to the U.S. Now called SEA-90, the sea minerals are listed by the Organic Materials Review Institute (OMRI) for use in production of organic food, fiber and livestock. During 2003, Robert made contact with two other lifelong advocates of Dr. Murray’s work, Chuck Walters and Ed Heine. Chuck, the founder of ACRES USA, had invited Dr. Murray to speak at the 1976 ACRES Conference. After hearing his speech and reading his newly published book, “Sea Energy Agriculture”, Chuck was forever sold on the connection between sea mineral solids used in agriculture and human nutrition. Once Walters learned that during the late 1970s Robert actually worked closely with Dr. Murray on his hydroponic vegetable farm located in Ft Meyers, FL, he informed Robert that his new book Fertility From the Ocean Deep would be published during 2004 by ACRES USA. His book discussed Dr. Murray’s work and the importance of using sea mineral solids in agriculture and the resultant human and animal health. Chuck encouraged Robert to contact Ed Heine the only living witness to Dr.Murray’s farm-scale research trials. Sea mineral solids were spread on Heine’s family farm during the 1950s and he actually witnessed the astounding results of Murray’s research trials. 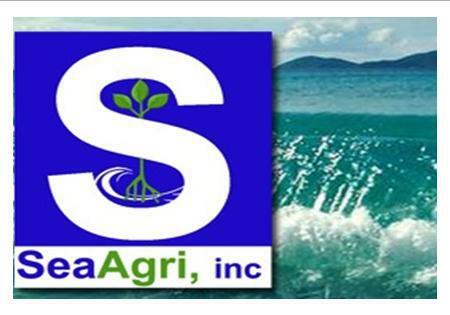 In 2004, SeaAgri, inc. became official with our registered product SEA-90. During this time, Carmen retired from the corporate world and began to devote her time, knowledge and experience in marketing and business management to help SeaAgri accomplish its vision. Our first two shipments arrived in the U.S. in 2004. In December 2004, ACRES USA releasedChuck Walter’s new book Fertility from the Ocean Deep. The agricultural community’s exposure to SeaAgri’s remarkable productSEA-90 increased even more dramatically following the publication of an article written by Carmen and Robert concerning remineralization of soils with sea minerals(PDF). ACRES USA then honored Robert Cain and David Yarrow with an invitation to speak about utilizing sea minerals in soil remineralization at the December 2005 ACRES USA Conference. Chuck Walters interviewed Robert (PDF) and Robert was asked to share his knowledge again at the 2007 ACRES USA conference. To date, SeaAgri has distributed more than seven million pounds throughout the U.S., Canada and Europe. Currently, agronomists are incorporating SEA-90 into all types of farming, grazing and hydroponics programs with outstanding success. It is SeaAgri’s vision to improve the quality of human and animal health by increasing the nutrient density in food through the application of SEA-90 sea mineral solids in all types of farming programs. Therefore, we proudly present SEA-90, the highest quality sea minerals available to soil stewards in the conventional, organic, and sustainable agriculture communities throughout the world. Please contact robert@seaagri.com if you would like him to give a presentation on “Sea Energy Agriculture and Remineralization” at your meeting or conference. SEA-90 is OMRI™ listed for the production of organic food, fiber (Certificate) and all livestock (Certificate) and is pollution free. Our newly instituted methods and procedures during the production and collection processes minimize particle size and nondissolvable solids. Offer free choice to all livestock and poultry. Mix with diatomaceous earth to create a natural livestock wormer. Dissolve and apply foliar to remineralize actively growing crops. Dissolve and incorporate into liquid row support and drip irrigation. Add to your compost and compost tea to increase biological activity and speed up finishing time. Manna SEA-90 4.5 Kg bag €10 not inc delivery.